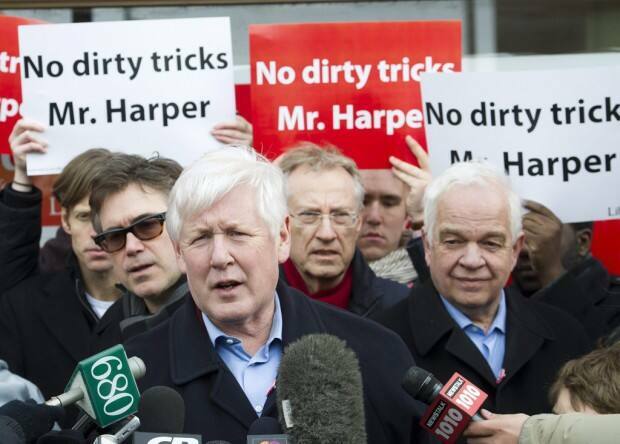 Note: I am not associated with the Liberal Party of Canada, the signs they are holding just express how I feel. TL/DR: Assuming the accusations are true, did vote suppression win the Tories the election? Nope. Continue reading if you are interested in seeing how I came up with this. It’s time to stop being nonpartisan. Looking at the political news recently I see a lot of stuff happening which I would have never expected to hear about Canada. Seriously, what the hell is going on in this country? I hope the RCMP and Elections Canada get to the bottom of it, and the people responsible are appropriately punished for breaking the law. Watching a CTV Atlantic interview last week, the question was put forward to a political analyst: if enough of the close political ridings were affected (where the Tories won by close margins) and it was discovered through the investigation that vote suppression techniques were used to discourage enough Liberal & NDP voters that the results of the elections were invalid, would Elections Canada nullify the previous results and call by-elections? But let’s throw out the results where the complaining party won, or the victory margin was > 1000* people. This isn’t because these ridings aren’t important, any election fraud should be taken seriously, but I just want to see if vote suppression bought the election. *Not much information has been released on the number of calls made in each riding, so I am going to say anything beyond 1000 people is a clear victory, and the phone tampering would not have affected one way or the other. This might change if more specific numbers are released, and I will update my analysis. Okay, what would this do to the house? The Conservatives still have a majority government (>154) but the margin is closer. The NDP are still the official opposition. The Liberals have 40 seats. What did it change? Not much. However, if this is true, I can imagine that the Tories being convicted of election fraud would change the minds of lots of people across Canada, and if you performed an election again, the Tories would loose even more seats as a result.